HOUSE OF ZETA: THIS WORLD IS MAD!!!!!!!!!!!! Hey guys, been a minute yeah? Apologies. This would be my shortest post anyways. I've been swayed by recent activities and it gives more meaning to the title of this post. This world is mad! Agreed but the ability to rise above all the mad world throws at us is key. I'm mad at the government (if it could be called that) and I'm mad at myself for taking my sweet little time in making a difference. 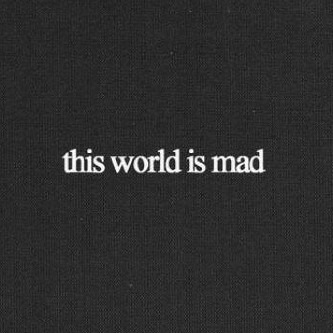 So This World Is Mad....... I Say Deal With It.